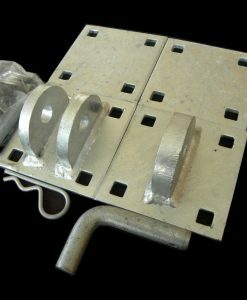 This heavy duty 3″ pipe holder is manufactured using 1/4″ hot dipped galvanized steel hardware that is built to last. 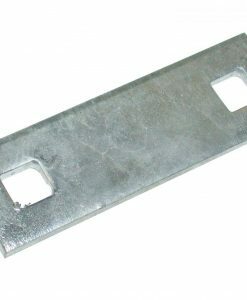 The pipe holder is welded onto a 7.75″ x 10″ galvanized backer plate. It features a 3.5″ outside diameter and a 3″ inside diameter. 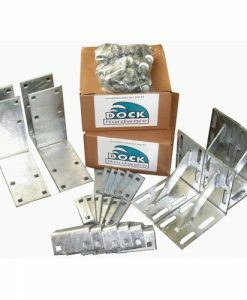 Pre-punched bolt patterns allows you to easily install directly to the side of your dock frame, or install using an additional 7.75″ x 10″ backer plate for maximum durability. 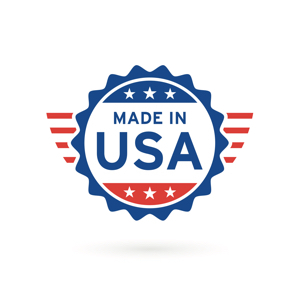 Features a 3.5″ outside diameter, and a 3″ inside diameter. 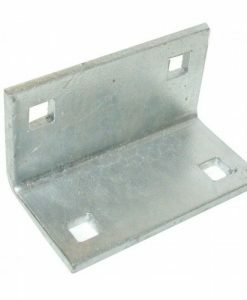 Quality welded onto a 7.75″ x 10″ backer plate for increased support.